Tom Wishon served as Vice President of GolfWorks from 1980 to 1986. 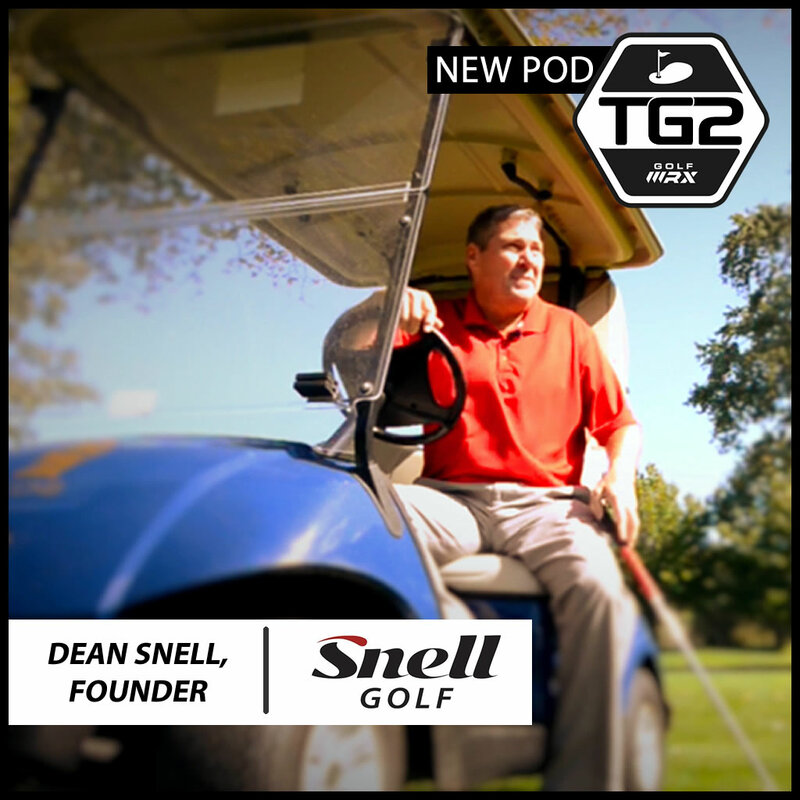 From 1986 to 1993, he was president of Dynacraft Golf Products, and from 1993 to 2002 he was Vice President and Chief Technical Officer for Golfsmith International. 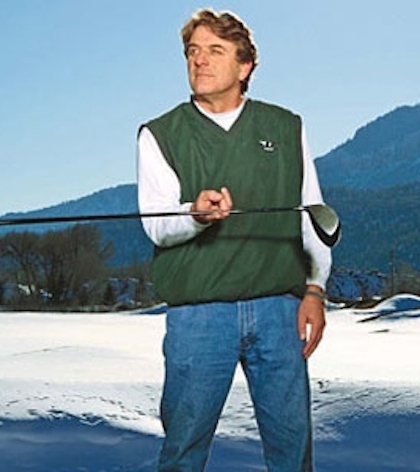 Wishon started his own company, Tom Wishon Golf Technology, in 2003. I read with great interest the article by Kevin Crook, The Focus on Equipment has Hurt Golf, in which he basically said it’s almost a waste of time to go buy new golf clubs because you have no way of knowing if what you buy is going to help or harm your ability to play the game. The main thing I took away from Kevin’s article is that he is yet one more confused and frustrated victim of the longtime business model of the golf equipment industry. If anything from the golf equipment industry has harmed golf, it is the way that golf clubs are being sold to golfers in a market that is fiercely competitive for sales. Many golf club companies exist to sell their clubs to millions of golfers through thousands of retail golf outlets and websites. The top-5 golf equipment manufacturers now control about 80 percent of the premium golf equipment market with combined annual revenues north of $3 billion. Four out of five of these companies are publicly traded, each with the accompanying pressures from shareholders and financial institutions to grow in revenue, profits and stock price. The only way large golf companies can sell the volume of clubs they must to meet forecasts and satisfy shareholders and executives is to pre-build their clubs to a series of standard specifications so they can be shipped to the thousands of retailers to be put on display and sold off the rack. Demand is driven by massive marketing campaigns that promise improvement and an increase in status upon buying the clubs. Credibility is established by paying professional golfers to play their equipment. After three decades of such fierce competition, the golf equipment industry has become a commodity business. Most retailers are selling the same exact products, so consumers hunt for the best price. Retailers have to discount to get the sale, which results in them making less profit. Making less profit means they do not have the money to hire and retain quality sales people. And retailers can’t afford to allow the sales staff to take more than a few minutes to make each sale, because making money requires that they sell a high volume of products. 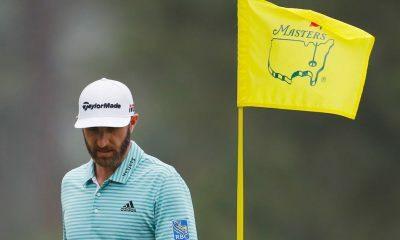 This is precisely what Kevin has encountered in his frustration with trying to do nothing more than to find the best golf equipment with which to play and enjoy this great game. He’s frustrated because he believes that whoever sells him his clubs should really know what they are doing. 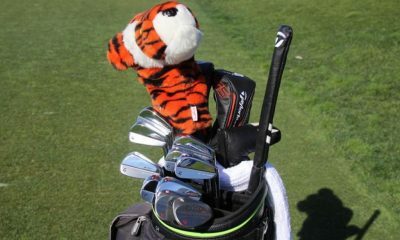 Unfortunately, the shortcomings in the current golf equipment business model means the people selling him his clubs do not know much more about golf clubs than he does, and may actually know less. Launch monitors are placed in golf retail outlets to give golfers the impression they are being properly fit for their clubs. Yet little to no training exists to teach sales people how to properly turn the outputs of the launch monitors into the best prescription for clubs for the golfer. Retailers also have inventory to worry about, so it is very common for them to pay a “spiff” to their sales staff to get them to make more of an effort to sell what they need to get rid of. Add to that the effects of the fierce competition among the golf equipment companies. At the wholesale level, it has resulted in drivers and woods that are far too long for the vast majority of golfers to ever hit consistently, which may or may not actually have the loft that is imprinted on the head. 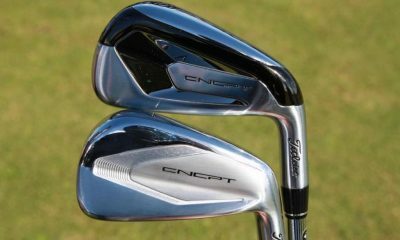 Lofts in irons have been decreasing as well, as a way of impressing golfers with more distance in their short irons. But this comes at the expense of golfer’s not being able to hit their mid and long irons as well. Shafts are a problem, too. Average golfers have no idea how stiff the shafts they purchase actually are because of poor quality control and a lack of industry standards. Add it all up, and it’s no wonder that golfers like Kevin Cook are confused and often end up with the wrong equipment. In truth, the best solution for golfers is to return to the original business model for golf equipment sales prior to the early 1900s, back when the only place a golfer could buy a set of golf clubs was to go see a clubmaker. Back then, golfers visited the clubmaker’s shop, where the clubs were built one club at a time, one set at a time, for one golfer at a time. It’s critical to be honest and tell you that some of today’s clubmakers do not have the fitting knowledge to be able to properly match a golfer with clubs that allow him or her to play to the best of their ability. Just because someone can build and repair golf clubs does not mean they know how to analyze a golfer and choose the best fitting specs to match to the golfer’s size, strength, athletic ability and swing characteristics. So golfers who decide to visit a clubmaker to end their equipment frustration MUST DO THEIR HOMEWORK to be sure the clubmaker they choose is a good, experienced and knowledgeable. 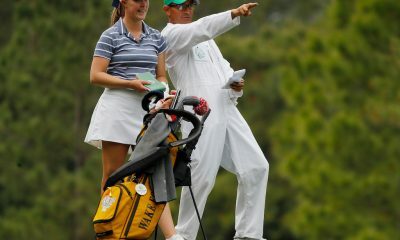 Such clubmaker/clubfitters do exist and they are without question the very best sources for golf equipment and knowledge. They can truly help a golfer improve and play to the best of the golfer’s ability. If you find a clubmaker from any of these sources, call him/her, visit, and ask how he/she conducts a fitting analysis. Ask for names of other golfers in the area he/she has fit. Call these golfers and ask them about their fitting experience. Do NOT just blindly go see a clubmaker who you have not vetted. The good clubmakers will never mind golfers doing an investigation, because they are confident of their skills and experience. Do this for your next equipment purchase and you will avoid Kevin Cook’s frustration with modern golf equipment. If you do, you will end up with golf clubs that are far better for your game than what you can buy within the golf industry’s current business model. Tom Wishon is a contributing writer for GolfWRX.com. is His views do not necessarily represent the views of GolfWRX. Click here for more discussion in the “Clubmaking” forum. I don’t know about those of you who think that Modern technology hasn’t helped the average golfer, whether fitted properly or not fitted at all. I see all kinds of players at my club and every club I visit who would not have been able to get the ball off the ground 40 years ago with woods, blades, and balata balls. I see guys with the worst imaginable swings hitting the ball over 220 yards off the tee with Titanium drivers…same with their perimeter weighted irons with graphite shafts. Seriously folks, how can all the Senior Tour players all be hitting the ball further now than in their prime? Putters are the same. Modern equipment has allowed a MUCH broader audience to be able to enjoy the game. Most of them would not have been able to play….period, without LOTS of lessons and practice in the old days. To become a proficient player pre-1980, it required a great commitment to the game at some point, meaning 20+ hours of practice a week for a couple of years. No junior player EVER became a single digit handicap without spending several summers devoted to the golf course and the practice tee. These days, a good young athlete can master the game in a summer. It’s changed and it’s all because of the equipment. Could it be done better? Yes, of course. But it’s so much better than it was. Most people pre-1980 hit 80 yard slices off the tee unless they were single digit caps. Only the best players could hit a tee shot into a 20+ MPH wind. Today, you don’t even think about it….just sayin’. The one thing that needs to also be addressed though is that some of these fitters that you allude to look to “rip off” people and sours real fittings for everyone. I had a couple of buddies exciting for a “professional fitting”…they were talked into $1000 drivers and $1300 sets of irons and $500 in woods, etc. because they upsell and sell at the max price. It would be nice to if this would not happen either! Wait for it……. Wishon irons, followed by how much better they are then any name brand iron you can get. Meanwhile I have never seen anyone ever playing them. Not to mention the ridiculous cost. If you are of the 80% average golfer stick to the big box and save embarrassment of having custom fit whisons that you still slice and dice, personally I love the jacked lofts and long shafts it’s fun, but I digress.. I cannot believe they sell new drivers & irons stock off the shelf with grips on them. It seems to me at minimum the standard should be no grip from the factory and let the buyer decide the length. Tom is absolutely correct about 46″-47″ stock drivers…they really fit a very small % of the market. I took his advise and cut mine back to 44″. I lost no distance (hit sweet spot much more often) and am rarely out of the short grass…improvement was immediate. This article is a little one-sided. Yes it’s commercial, yes there’s often ridiculous hype and marketing, yes lighter and longer isn’t good for some; but in general the quality and range of product OEMs consistently put out is good. The competitive nature of the golf industry means no manufacturer would survive if they repeatedly brought out inferior performing equipment, or failed to innovate. The hard truth is the failure of golfers to improve is not due to poor, or poorly fitted, tools. Obviously if clubs are massively wrong that won’t help, but for many, “off the shelf” specs, with the correct shaft flex, will work fine-maybe not optimal, but nonetheless nothing that would significantly hold back a golfer from improving-especially if they’re committed to lessons and practice. I am sorry to disagree. To mention just one – Biomechanical studies done on the relationship of length to golfer swing motions have proven that the longer the length of the club, the more stress this puts on the swing motions of path and release, and the more load the golfer has to withstand to make his best swing path and release moves. Nowhere is this more critical than in the driver. Without question, the move of the companies to increase driver length from the 43″ it was for DECADES to the 45.5-46″ we have today has prevented a huge percentage of golfers from ever being able to get rid of an early release or to learn how to go from an outside in to square or inside out path. And why did all the companies push their driver lengths up this long? 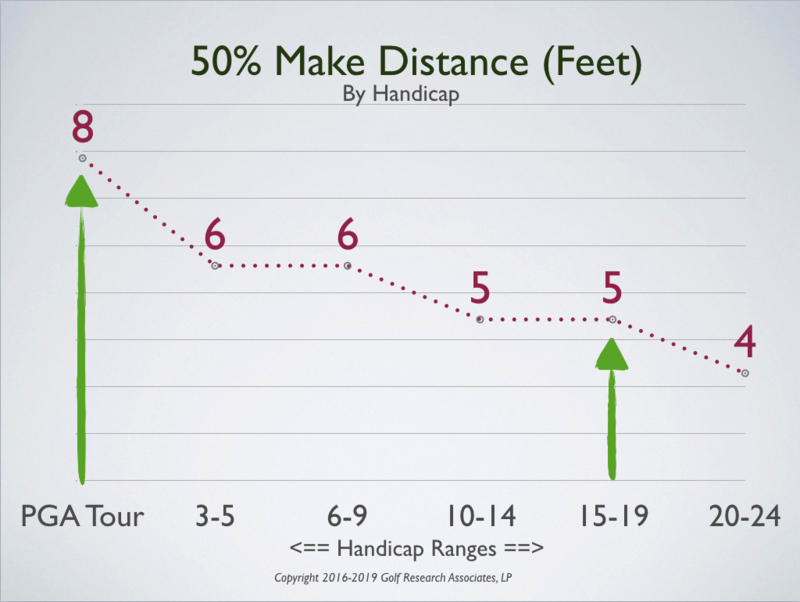 To sell more clubs on the basis of distance despite the fact such length increase brings along poor shot consistency and difficulty in improving swing characteristics when the golfer does take lessons. Or how about this? Golf is the ONLY sport in which a “stick” is used to hit a ball in which the “sticks” are sold off the rack in standard, one size fits all form. Every other “stick hits ball sport” has ALWAYS sold its “sticks” with all of the fitting variables available off the rack to its players. Baseball/softball – Every ball player knows he/she cannot hit the ball to the best of their ability unless they have their correct LENGTH, WEIGHT and HANDLE DIAMETER. Even recreational baseball/softball players know this. So every sports store routinely stocks bats in all different combinations of these three key fitting factors for a bat because that’s what the ball players know they need and demand. Tennis – No quality racket is sold with the strings in the racket. And all quality rackets are stocked in their different grip size diameter with sizes marked on the side of the racket. Even recreational tennis players know they have to have the right grip size and string type and string tension for them to hit the ball as well as possible. But not golf. Golf has always evolved with this standard off the rack business model because of BUSINESS CONCERNS being more important than concern for the golfer’s needs. With 13 woods/irons, 12 fitting variables for each club, and separate right and left hand models required, it would be impossible for any golf company to sell the volume of clubs they need to sell if they were to make and sell their clubs the same exact way that bats and rackets are sold. And no retail golf store would be able to stock all those options in golf clubs for fitting either, for the same inventory management problems. So because it was too inconvenient from a business standpoint, golfers were never told that they could play better with properly fit clubs because it would get in the way of the business model for selling clubs that brings in the most money to the club companies and retailers. So please do not sit there at your keyboard and tell the world that all a golfer needs is more lessons and practice with a set of clubs off the rack. YES LESSONS ARE CRITICAL – but because golfers are all different in their size, strength, athletic ability and swing characteristics, it is an absolute fact that when properly fit for ALL the key fitting elements, a huge percentage of 80-100 shooters can and will play 3 to 8 shots better with custom fit clubs than standard off the rack. AND THEY WILL MASTER LESSON CHANGES SOONER when they do take lessons and practice. Sorry, but since I have seriously studied the relationship of golf club specs to golfer ability longer and more deeply than ANY other person, it truly is sad to me when the business concerns of an industry become more important than the enjoyment of the customer. Thanks for your reply. I certainly respect your vast knowledge and experience in club fitting and technology and I appreciate you taking the time to share this knowledge. I have concerns about modern mass market equipment-often too long, too light, too upright, too strong lofts. But there is also good mass market product. I’m all for golfers having properly fitted clubs. However, it’s not going to turn a poor golfer into a good golfer-though it will help. 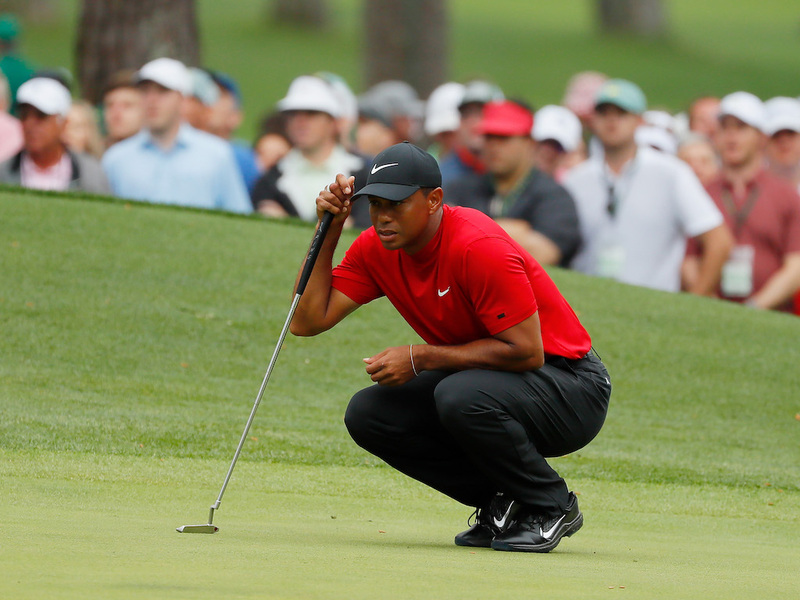 Buying off the shelf isn’t good-I think it should all be checked out- but there will be plenty golfers in the ball park of standard length and lie and will broadly fit into a regular or stiff shaft flex. For example, how many elite players are using clubs within 0.5″ of standard length and within + or – 2 deg. on lie? If one thinks only of IRON lengths and lies, yes for sure a lot of golfers could fall within +/- 1/2″ or +/-1* of the standards and be fine for these two specs in the IRONS only. But as we teach fitting and as we do fitting research, there are 13 Key fitting specs that need to be evaluated for all 13 woods and irons – 5 for putters. Length, loft, lie, face angle, shaft weight, shaft flex, shaft bend profile, total weight, swingweight /(headweight feel), grip size/style, clubhead design and set makeup. For putters, length, lie, loft, grip size/style and the weighting of the putter. OEM fitting and fitting done through retail golf stores and pro shops and fitting carts only hits a small number of all these and only within narrow ranges of spec options convenient within the std specs of the OEM – not to mention the training the retail/pro person has to even know how to fit. Slim to very poor as I have seen in my 30+ yrs in the industry and as I have tried to help fix in previous positions only to be rebuffed. I’m an avid and very well read historian of the equipment side of the game. From that I can tell you that a compelling argument can be made that golfers who bought clubs in the late 1800s came away with a better FIT than do most golfers today. Seriously. (not talking the technology of the heads or shafts, just talking about the FIT of the clubs to the size, strength, and swing of the golfer) Because back then the only place a golfer could buy a golf club was directly from a clubmaker. The clubmakers had no stock clubs and had to build everything from scratch for every golfer who wanted clubs. There were no golf club companies making std clubs back then to stock in pro shops as that evolution of an enterprising clubmaker to form a larger company had not happened yet. That didn’t happen until the early 1900s. No question the clubmakers back then were not anywhere near as astute on the 13 key fitting specs as we are today, but they did know length, grip size, shaft stiffness (sanded the hickorys to do that! ), club and head weighting, filing wood faces for loft and some even could file an open or closed face on a wood, or hammered loft and lie into their forgings. Fitting in a retail store or pro shop cannot do that – so it can be said that golfers got a better fit back in the 1890s than those who buy from retail stores or pro shops do today! Thanks for your reply, interesting thoughts for sure! A bit counter-intuitive, but I take your point. The craftsmanship of earlier generations shows up a lot of what’s mass produced today-and not just in golf. Also I cannot take content seriously when it is so obviously as one-sided as this article. Why can’t people understand that there are two sides to every story and that their point becomes devalued by only telling their half of the opinion. Situations are rarely so black and white as are construed above. It’s just another ‘evil billion dollar corporation’ vs ‘friendly local business’ approach. Finding your articles on the web has made a big difference in my game by making me realize my tools were all to long for me. I actually found my swing was fine but even a Pro would struggle with a driver that was several inches too long for them. i am really not impress with the irons that keep decrease their lofts so it tells ppl their iron can hit longer. with this approach, how many wedges we gonna have in next 10 years? Would have to say that I agree with some of the points that Tom makes but overall I think he is a bit mistaken with his perception. Certainly there are shops that have club sitting on the rack and people will gravitate to them and buy them not being fit. Truthfully most of those people are not people who care much about their game or scores and are very casual golfers anyway. Now almost any serious golf manufacturer such as Ping Mizuno Titleist etc. Have fitting carts at all of the major retailers and within those carts they have multiple shaft lie length and head combinations. Those along with free fitting sessions that are often provided with a purchase set of irons allow the golfer to try multiple different combinations of sets to find which ones provide the best trajectories dispersions all being done while the person can choose the club that he likes the look and feel of . Certainly without question there are things that the custom club builder can provide that will extend beyond the range of what can be done at a retail outlet, however now we were talking about something that would maybe only benefit a few percent of us who are at the extreme. I would even go on to say that an issue with professional club fitting is that often the club fitting is tailored to the current swing of the player in order to give him the best results in spite of whatever swing flaws he might have. The perfect example is my brother who spent hundreds of dollars getting a custom set of clubs built and despite his 5 foot seven stature was found to be fit best into a set of irons that were relatively upright as much as 4° or so. Well certainly that may have made him have a more consistent ball flight pattern, the fact is that what it was really doing is masking some major swing flaws which would mean that were he to correct them while using the same irons he would ultimately have worse results as the irons no longer fit him. I would say that my goal in the fitting is not so much dynamic fitting but rather finding something whereby the flex of the shaft is appropriate for my swing that the irons provide a good trajectory and have the appropriate current lie for my swing but that have the ability to be adjusted if I have them retested at a later date when working on my swing. But to build a club to compensate for multiple swing flaws might hinder my ability to improve in the future. This is my 2 cents and you can beg to differ. Fact is for many of us golf is a luxury and is quite expensive one at that. Those that are more serious about their performance will get more custom fit. Where I agree most with Tom is about his talk in the past regarding Drivers and making them longer and longer. We would mostly be better off with a driver of 44.5 inches or less. The pros ar easing them like this. Ironically we aren’t. At least now with drivers that are more customizable, we can at least modify the driver length much more easily. 2 par 3 shots with hybrids or more. That equals nearly 72 shots per round where irons are not used. that means there are for most golfers only 12-17 full iron shots a round at most where they are using a full non wedge iron. Given some testing by a company like Titleist who demonstrated that a 1/2 inch off centre hit on their AP1 model of a few years ago let to about 7.5 yards of carry loss and their player cb/mb models let to a 10 yard loss with the same mishit at same swing speed, it begs to question does the iron make enough of a difference in scoring? 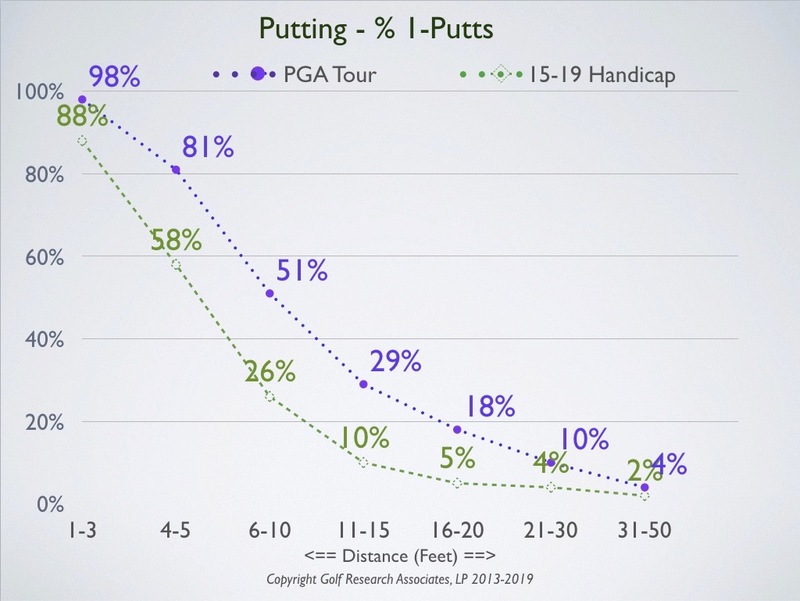 If a blade mishit is only 5 yards more penalized than a game improvement CB and if the irons being hit are used only a dozen or so times with perhaps only half the shots or so being significantly mishit, then you are talking about 6-8 shots around where you would lose 5 or more yards on a mis hit iron that is beyond your handicap level to play. Given a mid cappers short game and putting etc this can at most equate to 1-2 shots a round between well fit forgiving irons and unforgiving irons. the golfer would see much bigger improvements spending that money on lessons to hit the driver better, putt better and get up and down more. Same argument, tailor-made clothes vs. men’s wearhouse. It doesn’t matter that bespoke is nicer, it’s much more expensive and the world isn’t going back in time to Edwardian Saville Row suits any more than it will buy hand-crafted $3000 sets from Old Tom Clubfitter. But if you go to the majority of good clubfitters’ shops, you will find that their prices are NOT commensurate with what you pay a Saville Row tailor compared to the department store suit. A handful will charge more, but not even close to as much more as will the tailor for his suit over the department store suit. Check it out by contacting a clubmaker on one of these search lists and you’ll be surprised. Better fit, reasonable price, more fun in the game – that’s a win win situation for sure. I agree very strongly with Tom on his article, nicely written. I am a person who works in the industry as a Master Fitter/Clubmaker/Grinder in a big box Golf Store. I am sorry to say that I have worked in the industry long enough to see the deterioration of a game I have spent a lifetime loving. As much as I agree with Tom and his wisdom, I have to say it’s not just the Big Golf Stores, the Vendors or the Salesmen that are at fault. Some of the blame rests with the consumer as well. There is no worse feeling in the world than to have a large client base that looks to you for answers on equipment and have happen the following: A 15 HC customer comes to you pleading for your help, you spend hours with them guiding them through the entire club fitting experience making your recommendations that can truly help there game and they tell you they like the feel of the forged blades with the PXi 6.0’s or some other tour style shaft with the pretty colored grips…instead of the Ultra Game Improvement Irons you selected for them…you bang your head a few times on the wall and explain it all again with the same results…I like the forged blade with the tour shaft!!. This is happing to me more and more often these days and sometimes it is hard to go to work. I am a person who has pride in the fact that I have made a name for myself in my area with Fitting and Clubmaking, but my true pride will always rest in the number of people I have talked down of the ledge of buying the big dollar stylish popular stuff, in turn fitting them with what they need, be it new or existing. Key term NEED! The consumer base has gone loco with style and the term Tour has become a Billion dollar word with equipment. Is this really about a better game anymore? or is it about playing Dress-up??. Call me crazy, but I am not really sure anymore about anything!! I recently read a european golf magazine where there was an article about the “five big innovations of 2013”. First innovation in the article : the colors ! Wow. I am so impressed. The colors are gonna be a revolution in everyone’s game, that is obvious. Well it doesn’t take long to realize the rest of the article must be equal level BS. As for me, I made up my mind, went to a clubfitter and let him decide whatever was good for me. I tried them out just two days ago and they seem perfect. Looking forward to many years with them and a lot of improvement. Damn. Embarrisingly, I’m that 16 handicap with the tour clubs LOL. Good thing I read this before I have gone club fitting. I think it will take some time to get that marketing brainwash mumbo jumbo out of my head. I too am a certified fitter by all major mfgs. and see the same thing. After a 45 min fitting session, the customer still wants to go with the club that looks good in his bag, not the club that will indeed improve his game. I’m not a club fitter but a logical person and I believe that if the 15 HC really wants to improve, they should buy the forged blade. Why? Because playing with a game improvement club is the equivalent of playing bumper bowling. Mishits on a GI iron don’t give the necessary feedback to the body and brain that says, “Hey, you just hit that well off center idiot!” The GI club let’s the player think they hit a better shot than they actally did. No feedback mean no improvement. If you want to improve, get the clubs for the game you WANT to have. Not the game that you’ve got. with all respect, your recommendation for a 15 capper to play forged blades in order to “feel” the shot is pure fable. GI clubs provide the same feedback as blades in every sense. A bad shot with a GI iron is just as visibly bad in terms of flight and has the same shock value to the hand, when struck thin, because the shaft-feedback that’s responsible for that is generally the same make as in forged blades. The type of clubface, forged or cast has little to zero bearing in that. 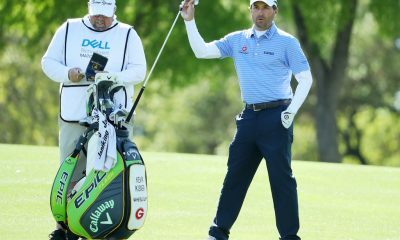 You must have noticed that Tour Pros have used GI irons for 2 decades by now. Stupid for doing so,aren’t they? Ya they have and it’s kind of embarrassing that ball striking is what it is even with GI clubs. Don’t get ahead of yourself by thinking what’s in a pros bag is anything like what you go and buy off the shelf. Chalk and cheese is the difference. Enjoyed the writing by Mr. Wishon. Obviously a lot of truth there. However, am I wrong to assume some of the loft increase is to compensate for how easy it is to hit GI irons higher due to newer weight distribution technology? I wonder if the Pros making the commercials for consumer clubs they show on TV are hitting those clubs to their specs or “off the shelf”? By that, I am saying if one knows how to swing the club the specs just MIGHT be secondary. Both, I am sure, are important, but I have never played with any group where virtually every single one of us would not enjoy the game better with a little coaching. I feel that the club does not always make the golfer and that anyone who is a sales person or within the industry has a job to selll. Thus they try to sell the new products. Though I feel regardless on the equipment the true problem is that everyone blames the product for not doing what it should, wait the product? I believe that the golfer is the one in control of the club…I have played spalding irons from 1989 to ping i20 irons from this year. 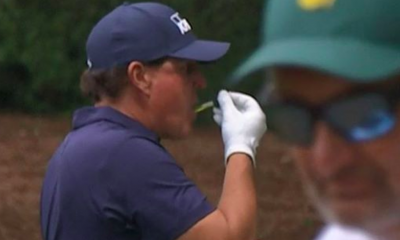 The biggest problem with golfers is that THEY DONT PRACTICE or they dont PRACTICE PROPERLY. To be consistant at this game you must put in the time. From my 1980’s clubs to the new clubs I am able to produce very consistant scores with either. The spalding have R300 shafts and the i20 consists of X100 though I still shoot 1-2 over and sometimes underpar with both sets. I also have a set of reid lockhart blades and have shot rounds in the high 60’s with those. I also average 15-20 hours on the range a week while working full time. It can be done regardless on how equipment is sold, or fitted, none of mine are fitted clubs. I dont want to sound mean or arrogant though I feel that companies have people brain washed into thinking that this next new thing is the “big thing” in the golf industry, when from personal views you should be comfortable with your clubs. I swing a driver 118-128 and still feel more comfortable with a Regular shaft (72-80 grams). I read somewhere that you can either be a good golfer or you can have a life. But you can’t have both. The biggest problem with golfers is that THEY DONT PRACTICE or they dont PRACTICE PROPERLY. To be consistant at this game you must put in the time. I was having this conversation yesterday, I play twice per week and practice twice per week I do 3 x 1.5 hours cardio every week. A friend wants to turn up and play once per week then spend the rest of the week complaining about how bad his golf game is. I’m with Chris. Fitting can help but lessons make the golfer. I’m laughing at this bs man. Take the Golf Digest hot list where “Bob a 16 handicapper describes how easy it was to work the ball with the new Cobra blah blah blah club”. Seriously bs…you could fit most of these guys until you are blue in the face, but their swings are so bad they will never improve. Fitting helps but only to a small extent…you still need to learn to play the damn game, and from that, most people need lessons from a professional. By the way Yo! — by no means was I lashing out at you on my post above, please don’t take it that way. Just trying to understand your comment is all. What exactly is it that “works”? Are you referring to sales of off-the-shelf equipment? Just ‘cuz they are selling tons and tons of their bling-bling “technology?” clubs every year doesn’t mean they are doing average Joe golfer any favors. All of this lovely technology they have been pouring into golf clubs in the past decades to make everyone longer and straighter — yet the average golf score/handicap has really not improved in decades – something just don’t add up here. I am a clubfitter – It’s not uncommon to properly fit a single-digit handicapper, and within that golf season he/she has dropped 1-2-3- and even 4 strokes off their handicap (and at that level, the strokes are pretty darn hard to come by). That speaks volumes for proper custom fitting. Not every fitting achieves a 2-4 stroke reduction, results do vary, but man the amount of folks who actually improve is a VERY high percentage. I am very confident that I can improve darn near every golfer who comes into my shop – and the cool thing is, I can prove it to ’em too! Certainly you have an interest in clubfitting. I’ve been fitted countless of times as my swing has evolved, and of course there is a place for clubfitting. In fact many of the golf chain stores are also providing some form of clubfitting using swing monitors and there are a great deal of selection off the rack that works for the vast majority of golfers if not 99% of them. That said, the choice to golfers now are much greater than before so the model works pretty well in terms of providing choices. The real problem is not the equipment. It’s the individual player’s golf mechanics. Even so, there are game improvement clubs that can help a player compensate for his or her faulty swing. It just seems to me that Tom (and I respect Tom Wishon) rails against the industry because it wants to make money by providing choices that appeal to the consumers (otherwise consumers won’t buy it). Whether a consumer makes a wise or unwise decision on his purchase is not the fault of the industry. I don’t even work in the golf industry so I really don’t care to defend it, but I understand the business model behind it and I don’t see it as particularly harming the game of golf or harming the individual golfers. A golfer can go to a demo day or gets his club fitted and hits the ball well and buy those same clubs. A couple of weeks later, he hits the ball horribly. Well, the club hasn’t changed. Private, custom fitters also try to sell the notion that custom fitted clubs will make a person play better. I’ve been to many top clubfitters so I know and I understand they have to be businessmen as well. Callaway, TM, Titleist, Ping, etc. do the same thing marketing that their clubs will make you a better player. Truth or not, how is that harming the game of golf? Most people I know who play golf, regardless of the brand of equipment, they choose are enjoying the game. Again, how is that harming the game of golf? 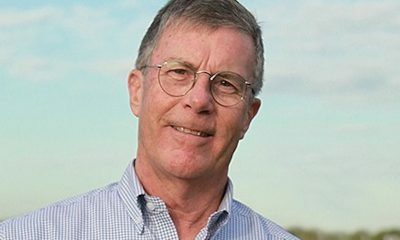 As a clubfitter, and one who chooses to use Tom Wishon’s products almost exclusively, I can attest to improvements that come from custom fitting. I have had clients that have bought a new set of clubs every 6 months, in search for the “holy grail”. 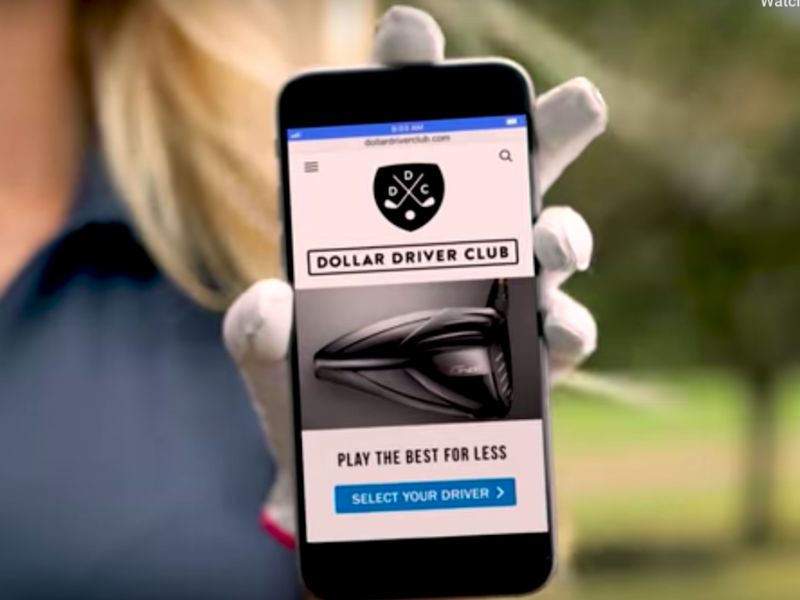 They have bought into the hype that is promoted by the marketing from the major golf companies. When they choose to come to me, often after great frustration, its as a result of never finding what was promised from the standard offerings. Most of the clients are low to middle handicap players looking for the fine-tuning, the final missing ingredient to allow them to play their best. When you wrote, “It just seems to me that Tom (and I respect Tom Wishon) rails against the industry because it wants to make money by providing choices that appeal to the consumers (otherwise consumers won’t buy it).” you are wrong. Tom states very clearly in his articles and books, that he feels that the golf club manufacturers can’t offer a system that will provide all of the modifications required to fit everyone, because they have to make a profit. They pre-make sets to sell that they try to shoe-horn everyone into. What Tom offers are the highest quality components with the highest level of quality control and the broadest selection of heads and shafts that can be combined in any order and made to any size and weight to meet every players needs. His club-heads and products are the finest engineered in the industry. Many of his designs are unique, innovative, category changing. He promotes Moment of Inertia (MOI) matching of clubs, and matching the golfers needs to 13 significant build variables. No major club manufacturer offers MOI or tailors a club to fit the 13 factors that are unique to every player. I build CUSTOM Fit clubs that do make a difference, a difference that can’t be matched with any off the shelf store bought club. Of course a huge part of any club fitters difference is our ability to asses someones swing and help them make choices that will work for their swing characteristics. Its interesting that several years ago, Titleist wrote on their website that over 95% of golfers need custom clubs and couldn’t get what they needed for their ability from off the shelf golf clubs. this from a company that used to only make clubs for sale in Big Box stores. Custom fitters like Tom must create a need for their service. They say things like “we are the only ones who fit for MOI” which I’m sure a ton of guys laughed at and realized it wasn’t worth their time to respond. Getting that extra expensive extra detailed fit that Tom offers at a nice profit I imagine… is only valuable to better players. Most good players can get name brand equipment from their local pro or their big box store with experienced fitters to get great equipment at a very fair price. Golfsmith provides a free detailed fitting with every set and the pricing of the set is exactly the same price as the “boxed by a machine” sets that Tom says the manufacturers push on you. He didn’t mention that all of them will gladly make the clubs by hand to your spec at no extra charge as long as it’s a current model. The free fittings at Golfsmith will benefit everyone, and their wallets. Tom’s article might as well have been called “How big business keeps shoving the little guy out.” His problem isn’t unique. Every business was better at providing services when there were less customers paying a higher price to their local craftsman. Today mom and pop shops are gone, we buy at Amazon, Walmart, Golfsmith, Golf Galaxy, and Lowes. Right now there is a guy on the way out of business who makes baseball gloves by hand. They’re $400 and they fit perfect. He’s got all kinds of reasons why you can’t buy from your local sporting good store. He also probably hasn’t been to that sporting good store in some time, and really doesn’t have any clue about the services they offer. Did you hear about that the sporting good store that will break in your glove for you on that high end machine? True story. Several times I was recruited/offered a position to design for a major OEM and even head up their R&D. Each time I said thanks but no thanks because of two reasons – one, I just don’t like the trappings of a giant corporation, but two, I have always been so convinced of the merits of proper clubfitting for ALL golfers that I just could not bring myself to think about designing for a company that would then take my designs, pre build them to a series of std specs so they could be sold in volume off the rack to golfers who themselves are so different in their size, strength , athletic ability and swing characteristics. I CHOOSE to work in this lesser known, under marketed, misunderstood side of the golf industry because it is where the very best golf clubs any golfer could hope to play will come from – when fit by a GOOD clubfitter (which I freely admit not all who say they are clubfitters are good). Most good fitters don’t charge much more if anything more for the custom fit sets they fit and build than what you would pay for any big branded OEM club bought off the rack in a retail golf store. At our company, when we do fittings, the $250 fitting fee is applied to the cost of the clubs if the golfer wants to purchase what we have fit him into. And Golfsmith fittings? I was VP there for 9 yrs running their component division during the time when the other VPs launched and grew their retail store division. 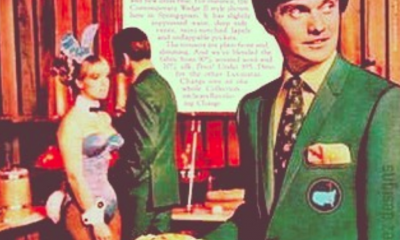 I BEGGED the owners to let me institute training programs for the store sales people so they could do a better job selling the clubs to the golfers and was continually turned down. Why? You go ahead believing what you wish, but EVERYTHING in my article is a fact and not motivated by anything more than a life long desire for golfers to get the best for their game so they can enjoy it as much as possible. If I was in it for the MONEY, I would have accepted one of those offers from the big companies. It’s also not the food industry’s fault that people choose to eat lots of products that contain shitloads of sugar and fat, and become obese. Marketing trying to convince people that the food is healthy is of course not a related issue. Certainly it has never been the tobacco industry’s fault that people chose to smoke. Marketing promoting smoking and telling it wasn’t harmful has no responsibility in it. It’s also definitely not the weapon industry’s fault that people choose unwisely to shoot each other so much. I don’t think I need to develop this one more. “It’s not the industry’s fault” is the favourite argument of the industry. It’s easier to work for your profits when you’re not responsible of anything. Harmed the industry I am not sure about. You have a game that has completely blown up that last 15 years amidst the ever expanding internet and the services it helps provide. American capitalism is attracted to golf too. Factual and informative article by Tom Wishon and needs to be made available to the golfing public at large by way of national/international media sources. Not just we tragics who subscribe to and patronise the ‘Golfwrx’ site. To yo!- try personalised fitting you’ll be most pleasantly surprised. I don’t think how clubs are sold has harmed “golf.” This is what works for the golf consumer and there are alot of choices. Bet the farm that one of the biggest reasons the avg golfer handicap has remained the same for decades is this standard off the rack, one size fits all business model of the golf equipment industry. Professionally fit every golfer and you could be sure that the avg golfer handicap would have decreased. NO question about that. And that’s from real biomechanical research into the relationship of the golf swing to club specifications. There are facts like longer length makes it far more difficult to get rid of an outside in path or to rotate the face back around to square for many golfers – or too low of lofts on too many of the irons making 1/3 of the iron set harder to hit. Things that proper custom fitting knows how to avoid so the golfer gets the most out of what he brings to the first tee. Not a 10 shot improvement, but darn sure a 2 to 5 shot improvement for most. And what golfer would not be thrilled to shoot consistently 2 to 5 shots better. I worked for a small golf retailer for a few years when I was younger. Yes the spiff program exists and it can be quite demoralizing to only get recognition for what you sell and no consideration for level of customer satisfaction is given. However, in defense of some of these retailers…there are a very large group of customers who run for their life when you mention taking some swings top try to get a better idea of what they should play. 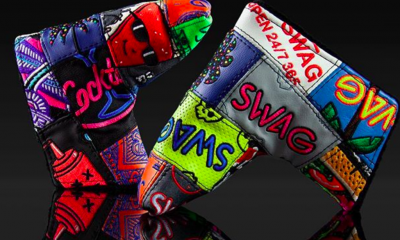 They see the holy grail of new clubs over working on their game. You would be surprised how many guys had no interest finding what works best, they want to hold on to the idea that a new club will fix everything. I recently was fitted for a set of Wishon 560 MC irons. They are by far the best that I ever owned. I will never buy another club without a proper fitting from a qualified clubfitter. My scores have not gone down signifcantly but the difference from low to high has gotten much smaller. Can’t wait to go do a fitting for some upgraded woods. As one of Europe’s leading custom fitters, we can agree with Tony up there. It is near impossible that a standard club off the shelf of a retailer will be fully suitable for a golfer’s swing, but marketing does continuously persuade them to buy a new driver or set of irons every few years due to “new performance enhancing technology”. Club technology has come on leaps and bounds but all it takes is one effective custom fitting session and you won’t need to change your clubs for many many years, as they will be so optimised for you and your swing. 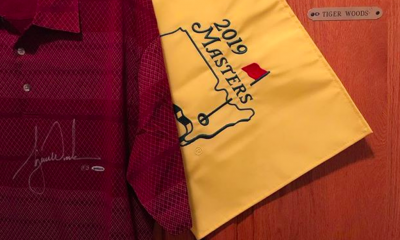 We’ve had some golfers in the studio here who have been ‘fitted’ at a well-known golf retailer and also by their club professionals, and some of the resulting purchases have been so unsuitable it’s almost scary. We know that custom fitting can be an expense that many won’t want to go through. However the results can pay for themselves when you won’t need to buy a £400 driver every year or two chasing after that extra yardage that could be more easily obtained at a recognised fitter. Case in point, Tom: I was in a shop to buy some balls last week. Another customer wanted to buy a 64° wedge because he “hits his 60° ninety yards and needs a club to hit from seventy-five yards.” I had a chuckle with the proprietor after he left. We agreed that the guy has every wedge from 50-60° but has no idea about how to swing with anything less than full power. Just another victim of the industry. But he certainly understands Annika’s theory about playing golf…. She was referring to how we should take a full swing whenever possible. Taking partial shots is easy, however without consistent practice it’s tough to gauge their distance. I need to apologize, I am sure anyone reading my response is confused when I said I enjoyed all responses. I meant all of the responses on the Kevin Crook post! I am a professional club fitter and enjoyed reading Tom’s article and ALL of the responses. For me, I can tell you that about a dozen years ago I discovered custom fit clubs from a very good fitter, and no OEM club has ever touched my bag again. And I have helped many play better golf – but maybe more importantly enjoy golf more – through fitting them for clubs. That said, club fitting continues to be an uphill battle, and that is sad for the golfer. 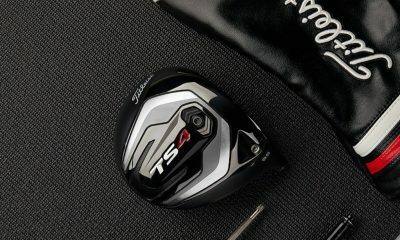 They are barraged with “15 more yards with THIS new driver!” each year, and do not realize this is marketing not truth. 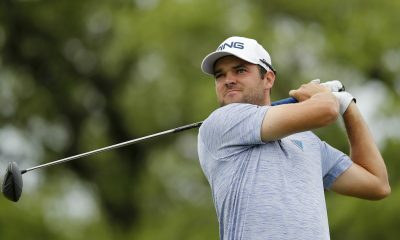 There continues to be a reason the average driver length on the PGA Tour is 44-1/2 inches – not the 45-1/2 to 46 inch lengths being sold in stores. i agree to most of this about club fitting but reject the ever so comparison with Pga tour golfers. so much that we do differently that can make up for need in different driver lengths for example, same as with balls, lofts, etc etc. You tell it like it is. It’s unfortunate that the 80%-ers don’t know what they’re missing. Perhaps we can convert them, one golfer at a time.